Just in time for the hot summer months, Western Area Power Administration (WAPA) has released its 2015 Tip Sheet: Cooling System Maintenance and accompanying bill stuffer for use by electric utilities. The files, available for download below, are ready to be imprinted with your utility or city logo and given to customers. According to WAPA, both handouts break down the simple steps that keep air conditioners humming efficiently and offer operating tips to make sure a owning cooling system is not like fighting an uphill battle. The tip sheet makes a great handout for customer education events while the bill stuffer provides similar information in a perfect size to fit into a business envelope. If needed, send WAPA Energy Services an electronic version of your logo and they’ll create the template for you. On July 16, Basin Electric Power Cooperative’s board of directors authorized the cooperative to join a regional transmission organization (RTO) – the Southwest Power Pool (SPP), subject to FERC approval of necessary documents. The decision reflects years of focused evaluation with Basin Electric’s members and its Integrated System (IS) partners, Western Area Power Administration and Heartland Consumers Power District. Joining an RTO means Basin Electric and its members will have access to the market when Basin Electric’s system requires power or has surplus power to sell. The board’s decision follows critical decisions by SPP and the boards of Basin Electric’s IS partners. On June 9, SPP’s board approved tariff changes making it possible for the Integrated System partners to join the RTO. Heartland’s board approved SPP membership July 8 and Western’s administrator approved SPP membership July 9. Membership in SPP will not happen right away. Basin Electric staff will continue to work with its members, Western and Heartland to integrate into SPP by Oct. 1, 2015. Membership in SPP was among three options Basin Electric and its partners collectively considered. The other options were standing alone outside its neighboring RTOs or membership in the Midcontinent Independent System Operator (MISO). “Standing alone posed challenges for us all when we needed access to markets in times of surplus or deficit power supplies,” says Paul Sukut, Basin Electric CEO and general manager. “We determined we cannot remain an island within our nation’s energy infrastructure. These limitations directed our focus to RTO membership. “Ultimately, we needed to balance the needs of our members – from cost, transmission, market, philosophical and geographic standpoints. SPP satisfied those criteria,” Sukut said. Basin Electric is a consumer-owned, regional cooperative headquartered in Bismarck, N.D. It generates and transmits electricity to 137 member rural electric systems in nine states: Colorado, Iowa, Minnesota, Montana, Nebraska, New Mexico, North Dakota, South Dakota, and Wyoming. These member systems distribute electricity to about 2.8 million consumers. Heartland Consumers Power District is one step closer to full integration into a Regional Transmission Organization (RTO). The Heartland board of directors recently approved a resolution authorizing execution of a membership agreement with Southwest Power Pool (SPP). Heartland delivers power to its customers over the Integrated System (IS), a high-voltage transmission system that covers a seven-state area and consists of over 9,500 miles of line. Under the terms of the membership agreement, functional control and operational authority of Heartland’s transmission facilities and service within the IS will be turned over to the SPP, and generation resources and customer load will be included within the SPP Integrated Marketplace. Heartland’s participation is contingent upon Federal Energy Regulatory Commission acceptance and approval of the agreement without modifications. 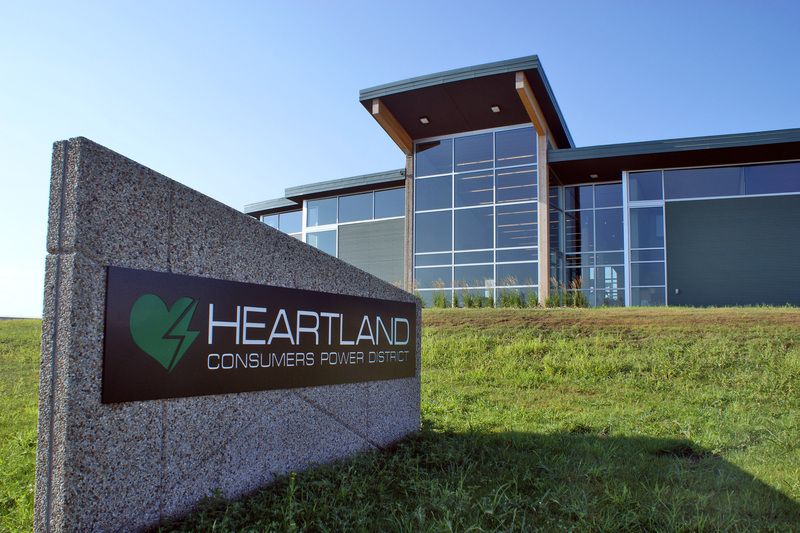 Heartland shares ownership of the IS with Basin Electric Power Cooperative (Basin) and Western Area Power Administration – Upper Great Plains (Western). The three organizations began evaluating a move into an RTO in late 2011 in order to increase access to other power markets and to reduce operating constraints. After an extensive research and assessment period, SPP was determined to be the best business decision to reduce costs and maximize opportunity. Basin’s board took action in April to negotiate terms and conditions of joining SPP, and approval of the membership agreement is expected this month. Western Administrator Mark Gabriel approved and directed full membership of the Upper Great Plains Region with SPP July 9. Founded in 1941, SPP is a group of 76 members in Arkansas, Kansas, Louisiana, Mississippi, Missouri, Nebraska, New Mexico, Oklahoma, and Texas that serve more than 15 million customers. Membership is comprised of investor-owned utilities, municipal systems, generation and transmission cooperatives, state authorities, wholesale generators, power marketers, and independent transmission companies. SPP’s footprint includes 48,930 miles of transmission lines and 370,000 square miles of service territory. As a Regional Transmission Organization, SPP ensures reliable supplies of power, adequate transmission infrastructure, and competitive wholesale electricity prices. Western’s Administrator Mark Gabriel yesterday approved and directed Western’s Upper Great Plains Region to take the necessary actions to accomplish full membership with the Southwest Power Pool. 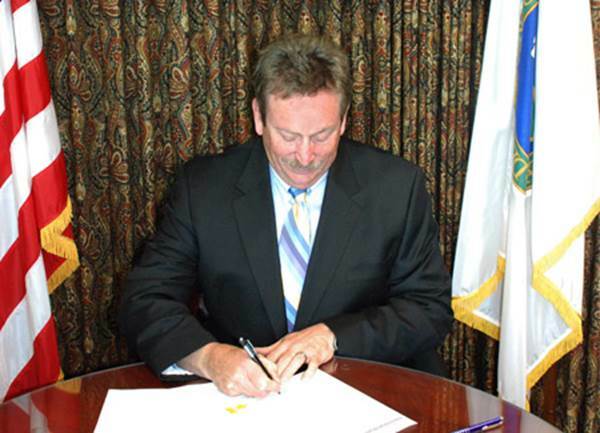 Western Administrator Mark Gabriel signs the memo approving and directing the Upper Great Plains Region to join Southwest Power Pool. Courtesy Western UGP. The approval is contingent upon Federal Energy Regulatory Commission approval of the SPP tariff changes without significant modification to the negotiated provisions that allow Western to ensure compliance with statutory and regulatory requirements and continue to provide reliable, cost-based hydropower to its customers consistent with sound business principles. SPP’s tariff changes are expected to be filed in early August. Implementation will begin on a concurrent track, with full membership anticipated by October 2015. The Upper Great Plains Region markets Pick-Sloan Missouri Basin—Eastern Division power and energy to preference customers in Montana east of the Continental Divide, North Dakota, South Dakota, western Minnesota and Iowa and eastern Nebraska. Western operates the Integrated Transmission System, which is owned by Western, Basin Electric Power Cooperative, and Heartland Consumers Power District. Learn more about the decision at www.wapa.gov/ugp/powermarketing/AlternateOperationsStudy/AOS.htm or contact Randy Wilkerson, PublicAffairs@wapa.gov.